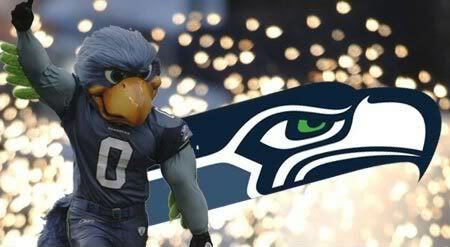 The newest member of the Seahawks family is Taima the Hawk. Named by Seahawks fans, Taima (which means “thunder”) is quickly becoming a fixture of Seahawks Sundays at Century Link Field. Since 2007 he has been the first one out of the tunnel leading the team on to the field before each home game. Taima is actually an Augur Buzzard (Buteo augur) who is a nine-year old, male, African, bird of prey. Their, coloring and size are similar to an American Osprey; however unlike an Osprey (or “sea hawk”), Auguar Buzzards are not seafaring birds and will eat small ground mammals, snakes, lizards, small ground birds, insects, and carrion. If the team was going for authenticity and a native Northern Pacific bird of prey, it would have used an Osprey (Pandion haliaetus). 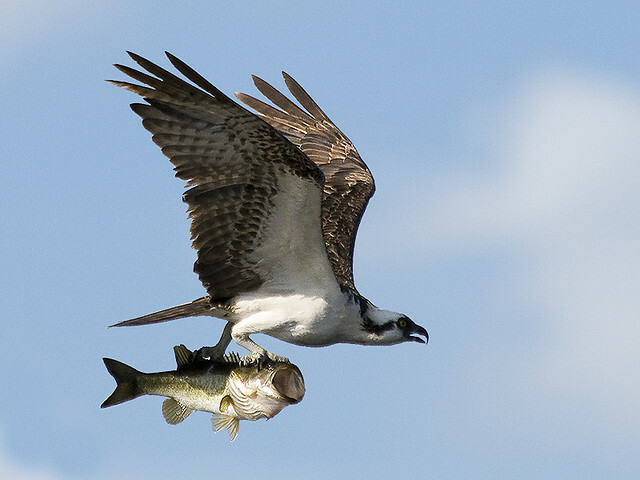 Osprey’s are seafaring birds, with very distinctive black and white coloring and large wingspans up to five feet across. Like owls, they have reversible toes so that they can hold larger prey and fly more quickly without tiring like an eagle would. They are adaptive to human activity and often nest on land. — When you visit The Cove, it is not uncommon to see an Osprey flying in lazy circles above Lake Billy Chinook searching for lunch. Taima was selected as the team’s mascot because The United States Fish & Wildlife Department prohibits the use of the native birds for commercial purposes. Even if you are not a football fan, tune into the next game for a few minutes, it is always fun to watch Taima, the buzzard, rally the crowd. 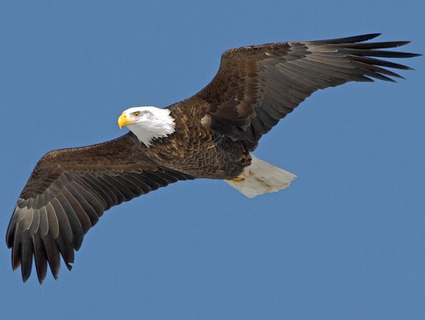 Join us for the 19th Annual Eagle Watch Celebration. Event is free! Eagle Watch is a fun, family event where you can get up close to a golden eagle or a great horned owl, take a tour to view live golden and bald eagles, join your kids and learn about bird adaptations or build a bird house. This is your chance to talk to the experts and learn all about these majestic birds of prey. Enjoy a provided hot dog lunch. Don’t miss out, Sunday, the Confederated Tribes of Warm Springs will demonstrate native tribal dances – a must see! Don’t forget to bring your cameras and binoculars!